MANILA, Philippines — Sen. Grace Poe dismissed as “fake news” reports that she wanted social media giant Facebook banned in the Philippines. “‘Yan ang fake news. Hindi totoo ‘yan. First of all, that’s counterproductive…Mali. ‘Yon talaga ang disinformation,” Poe said in a TV interview Thursday. The false information, which became viral online, was spread through a Facebook video that was spliced to make it appear that Poe wanted to ban the use in the Philippines of the American online social media and social networking service headed by Mark Zuckerberg. Poe, chairperson of the Senate Committee on on Public Information and Mass Media said she neither had the intention to stop Facebook operations in the Philippines nor move to suppress what’s being uploaded on social media sites. The lawmaker added that she and her children were all using Facebook, like many other Filipinos, who depend on the social media site for news feeds. “’Yong mga lumabas [sa social media], s’yempre hindi natin pipigilan. Ako mismo nasa Facebook, ‘yong mga anak ko nasa Facebook, marami sa ating mga kababayan ang kumukuha ng balita mula sa Facebook,” Poe stressed. During the Senate hearing last January 30, Poe was asking a law expert about the extent of the government’s reach in blocking hate speech and expressions online that bordered on criminal liability. “Not that we’re going to do this. I’ll be the first to disagree if they do. But let’s say, can you block a particular company like Facebook from being accessed in the Philippines? Of course that would spark a revolution and we know that,” she said. “But what I’m saying is this: They’re banking on their popularity but we should also assert their accountability to us,” Poe added, in reference to the accountability of the social media giant for its failure to address offensive speech. Advertisement She appealed to netizens to make a critical examination of the information they receive and “cross-check” facts from lies. “We should be able to inform the citizens that they should be able to cross-check information that they get online. We’ve come up also with our own video of the proceedings, kasi [because] it was spliced,” the senator said. 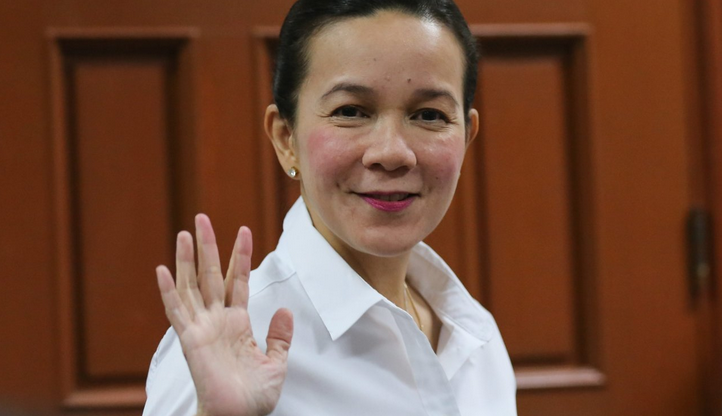 “If you’re conscientious enough and you really want to find the truth…kasi kapag ayaw mong malaman ang katotohanan madali namang kalimutan ‘yan [because if you don’t to know the truth, it’s easy to forget about it],” Poe said. Poe wants to compel the attendance of Facebook executives in the next Senate hearing to discuss the algorithms that the social media giant uses to control what information appears in a user’s news feed. “What we’re trying to do is how we can encourage Facebook to be able to cooperate with us,” Poe said, adding that governments in the European Union had initiated a crackdown to fight fake news and compelled social media sites to flag illegal, hateful, defamatory and racist expressions within 24 hours.